My mother’s mother, who us kids called Nan, was the only grandparent I knew. She was a thin woman, six feet tall, with high cheekbones and a steel gray permanent hairdo that never moved. Her name was Gladys Foster. She was almost 63 when I was born, and had already retired from the telephone company where she had worked as an operator. Her husband, my mother’s father, had died in November 1969 – about a month before my older brother was born – so by the time I came along in 1974 she had been a widow for some time. I remember Nan as a slow-moving woman who was always sitting in her yellow-and-green striped recliner in her small den. She was a heavy smoker, watched Days of Our Lives avidly, and attended Normandale Baptist Church every week. I can remember my mother talking about attending Ridgecrest Baptist Church when it was still in the Ridgecrest neighborhood (before it moved to east Montgomery), but they had both shifted their memberships to Normandale Baptist when they each moved a few neighborhoods over— my mother with our family to Princeton Road behind Normandale Mall, and Nan to Nordale Drive on the other side of Southern Boulevard. By the time I was old enough to remember, my grandmother lived in a little yellow-brick house that had white shutters in the middle of Nordale Drive, but that was not the house that my mother had grown up in; I don’t know when Nan moved there. Nan was born Gladys Emma Taylor in the Sandy Ridge community of Lowndes County, Alabama, in October 1911, to Elrath Alexander Taylor and Sally Estelle (Dean) Taylor, who had married the year before. My grandmother was the oldest of four children. Her siblings were: Bill, born in 1916; Lillian, born in 1921; and Jean, born in 1926. Her father, who my dad’s records say was called “Ed,” was a farmer. I don’t know many stories about my grandmother’s young life. My mother has told me that Nan had such severe allergies that she couldn’t even go into the family’s barn. She also told me that when my grandparents were first married, my grandfather was farming in Sandy Ridge with his in-laws, the Taylors. So that farming life in Lowndes County couldn’t have been too rough on her. 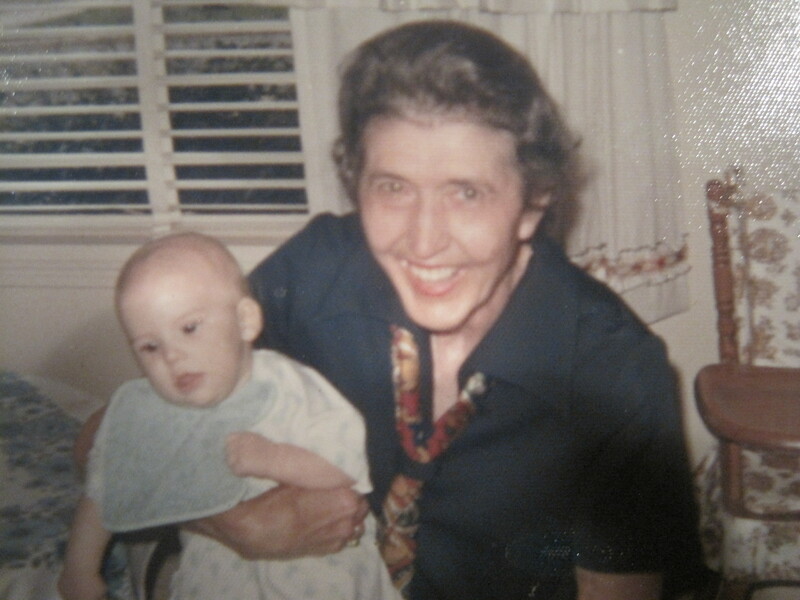 Nan met my grandfather, Andrew Conley Foster, during World War II when he was stationed at Maxwell Air Force Base in Montgomery, and she was a telephone operator on the base. They married in October 1944. My uncle David was born about a year later, and a few years after that my mother came along. 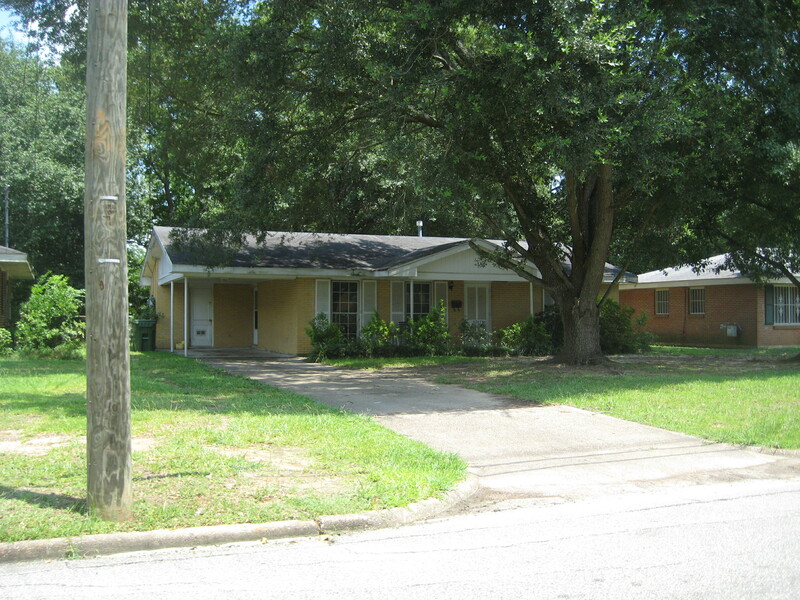 The Foster family must have moved to Montgomery in the early 1950s; my mother has told me that she can remember staying with her grandparents because her parents were going to Montgomery to find a house there. I haven’t spend any in-depth time yet searching for the sundry facts of Nan’s life. I think that I have chosen to research other people first, since Nan is the least mysterious to me. She was the only one of my four grandparents that I knew. Because she lived nearby, and because she and my mother were close, I spent a good deal of time with her, though because she died when I was in junior high, I only really knew her in a child’s way. My most significant memories of her revolve the huge spreads of delicious food that she used to lay out for dinners on Sundays and holidays. I also remember arguing with her because I didn’t want mayonnaise on my cheese sandwich, while she insisted that it had to be. Because my grandfather worked in food service primarily – at one point he owned his own small store called Foster’s Grocery and he also managed the restaurants in the country clubs in Montgomery and Troy – I imagine that Nan was at home alone a lot. (The restaurant business requires long hours of a manager.) I once worked with a woman who had worked for my grandfather at Montgomery Country Club, and though she remembered him, she didn’t remember much about him. The truth is that I can never remember Nan talking about herself or about her life; she never reminisced about the good old days to us kids, she never talked about life on the farm when she was growing up, she never talked about her parents, at least not that I recall. Though I knew brother and both of her sisters, and their families, the extended family had basically splintered by distance and deaths, and after the late 1980s, we rarely had anymore of the big family gatherings that we had when I was a child. Nan died in July 1987 of colon cancer. I was not quite 13 years old. I can remember the way that the radiation treatments reduced her to a near-skeleton – she was already very thin – and by the time she died, she had suffered immensely. So had my mother, watching her own mother go through this year-long ordeal while she was trying to maintain a family with two teenage sons of her own. Gladys Emma (Taylor) Foster is buried next to her husband, Andrew Conley Foster, in Greenwood Cemetery in Montgomery, Alabama; their graves are located in the Masonic section. Chasing Ghosts: Herbert Coleman Dickson, Sr.